TICOS stands for Teens Inspiring Change Optimism & Service, and that is our mission. We want to make positive changes for young people at the library and in the community. We meet monthly at the library and any teen 6th grade and up is welcome. 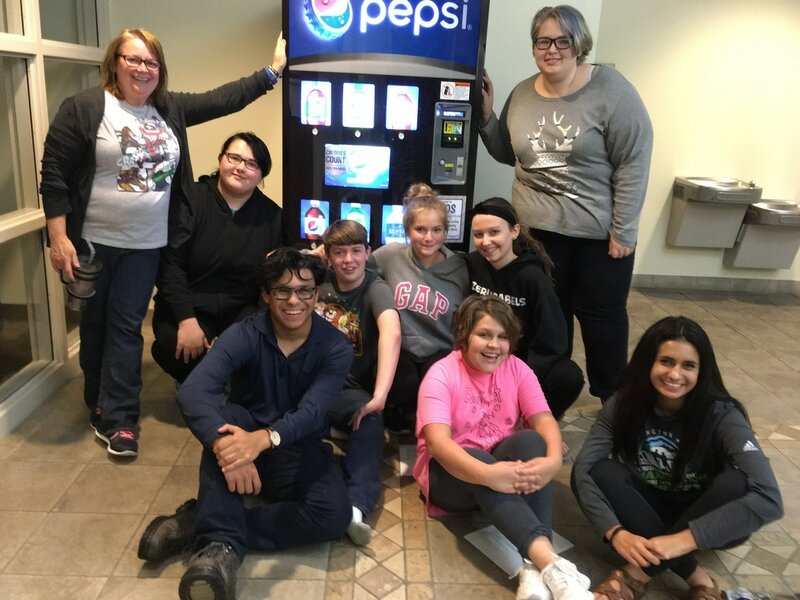 This is not just a pop machine, it's an ongoing fund raiser for teen programs at the library! What started as a small group of library teens who go together to give input on library programming has grown to over 20 regular, dedicated members. These teens go above and beyond to help with library events, community events, and help raise funds for teen programs at the library. They even get up EARLY on federal holidays to decorate neighborhoods with flags as part of our fundraising efforts. We are affiliated with the Burlington/West Burlington Optimists and Optimists International. The NASSP, National Association of Secondary School Principals has added JOI Clubs to it's list of contests and activities, putting it on the same ranks as National Honor Society or Student Council. This makes us a significant school activity and allows students to be excused from school to participate in activities when necessary.